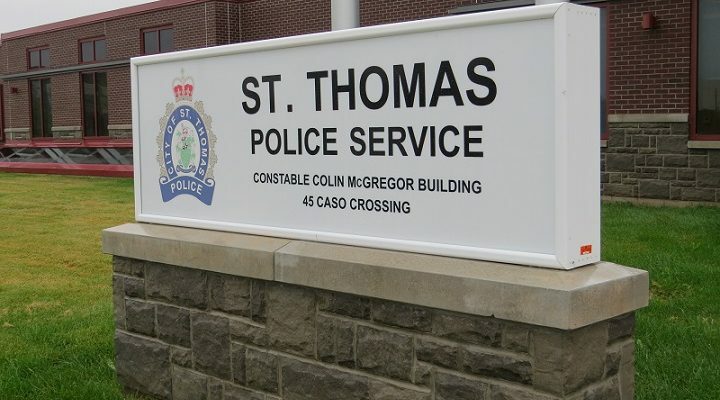 St. Thomas police are investigating a fiery crash that sent five people, including an infant, to hospital Thursday morning. A pickup truck was traveling north on Highbury Ave., at Ron McNeil Line just after midnight when it attempted to make a left turn into a coffee shop and was hit by a southbound car. As a result of the crash, the truck caught fire. The flames quickly spread to the car, engulfing both vehicles. Two adults from the truck and two adults and an infant from the car were taken to London hospital with minor injuries. The intersection was closed for several hours after the collision, but has since re-opened. The investigation is on-going.